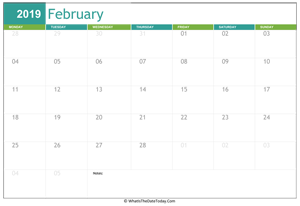 FREE download February 2019 Calendar Editable (vertical layout) with Notes Space at footer - A free printable monthly calendar 2019 for february. 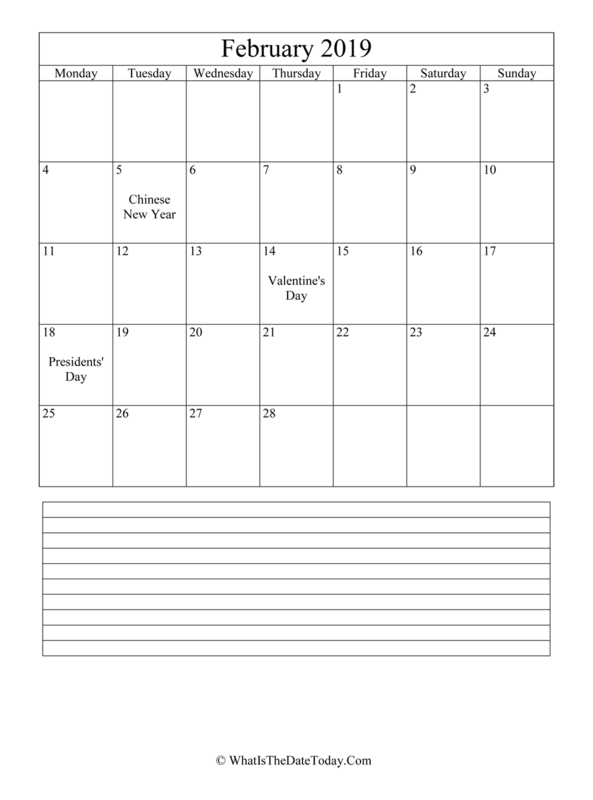 The calendar available in three formats: Word (.docx), PDF and PNG. Version: 2019 calendar with notes space at footer. 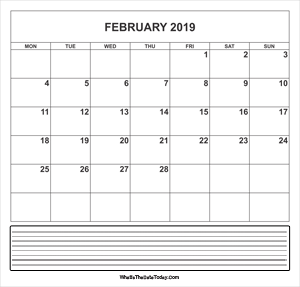 Want to print fully calendar 2019 with 12 months in one page? 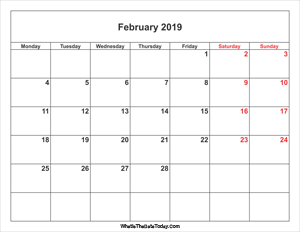 Check out our yearly calendars below.